'Future Reto Beats' contains 100+ meticulously designed patches with a strong, modernized "funky" character, and a broad range of stylistic uses. If you're looking for a collection that fits well into Hip Hop, Funk, Trap, R'n'B or Oldschool Electronica production, 'Future Retro Beats' is made for you. Are you tired of flashy marketers who fall short on delivery once the product is in your hands? The author of this collection has worked extensively as a sound designer for Native Instruments, Cakewalk, U-He, and many other companies. His work can also be heard on popular hits by Chris Brown and other artists. You can rest assured you are getting the real deal with 'Future Retro Beats', without the heavy price tag. The basses and subs have that phat and fuzzy feel of the oldschool, while staying true to the times here in 2015. Same goes for the leads, pads and synths. They retain that soulful nostalgia, while masterfully incorporating sound design technigues which give you that modernized feel the new blood on the scene is looking for. 'Future Retro Beats' was largely created in the spirit of sonic exploration, seeking out new sounds, while keeping it real to mainstream sensibilities. Looking to stand out among the rest? 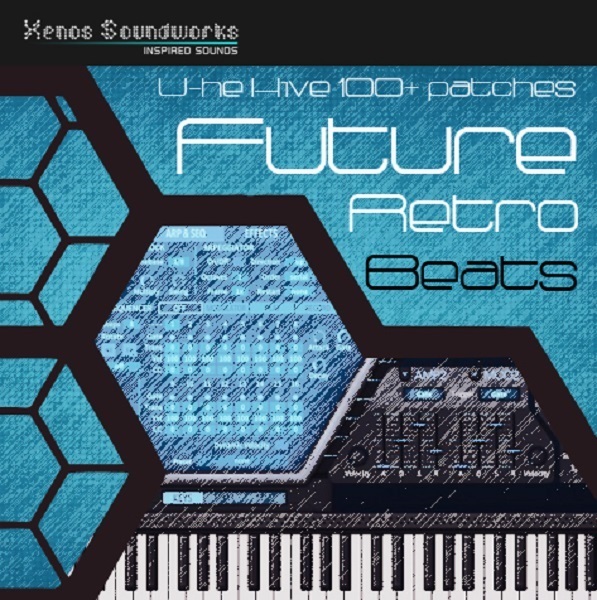 'Future Retro Beats' will provide you with a handy arsenal of true quality sounds, ready to inject some serious mojo into your next commercial track or platinum hit.